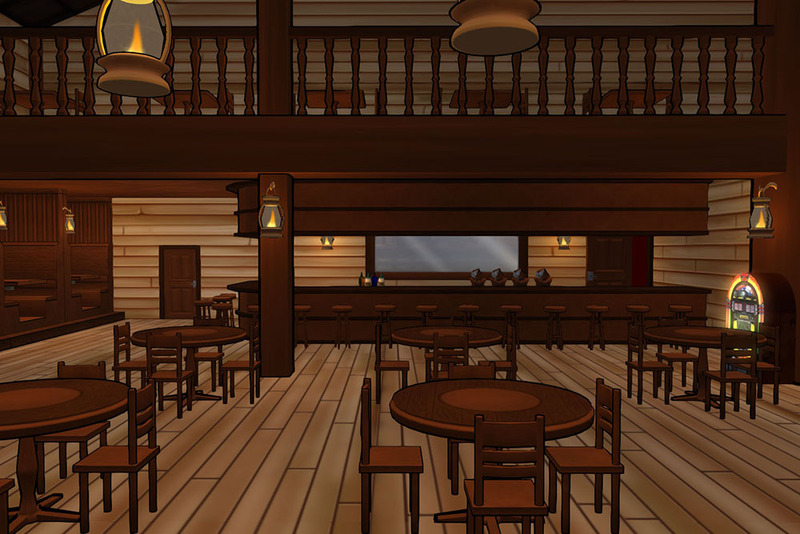 The Kaerwyn Tavern is the main area of play for the majority of Kaerwyn events. 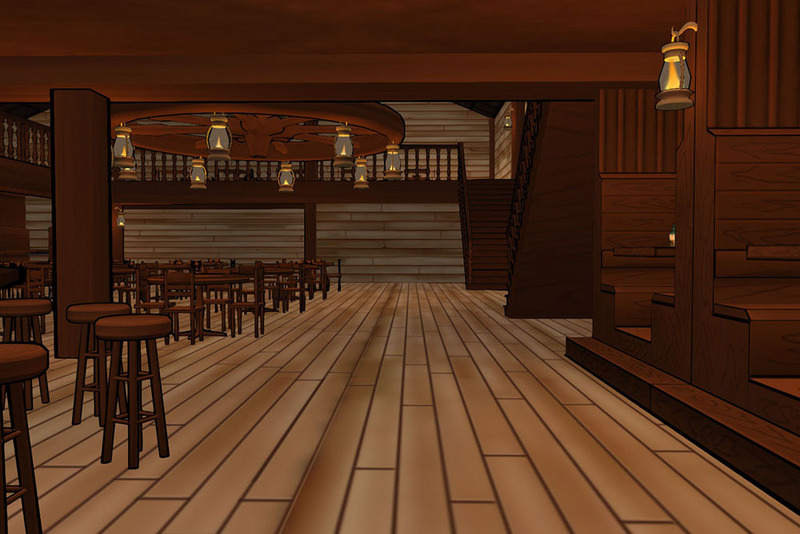 While we also have several other areas of play (Log, Crossroads, Town, etc) the tavern brings the most people together during the RP. 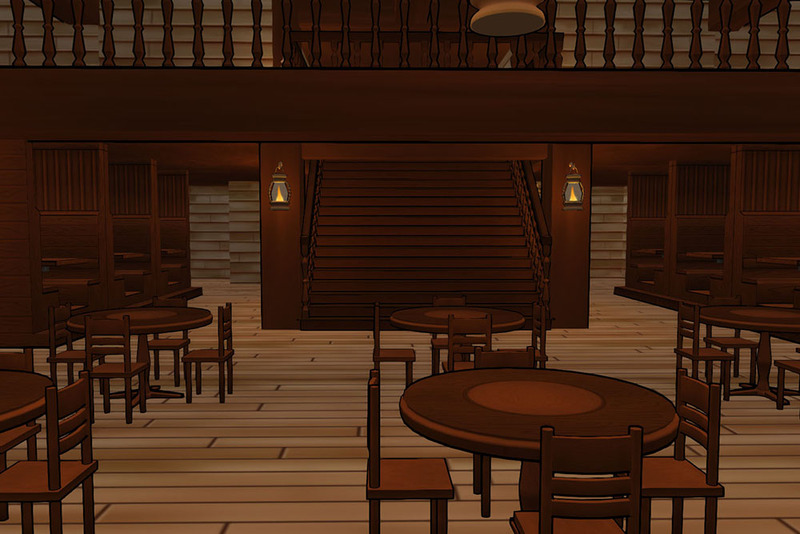 It is the meeting spot for the majority of regular chit-chat and occasional action. 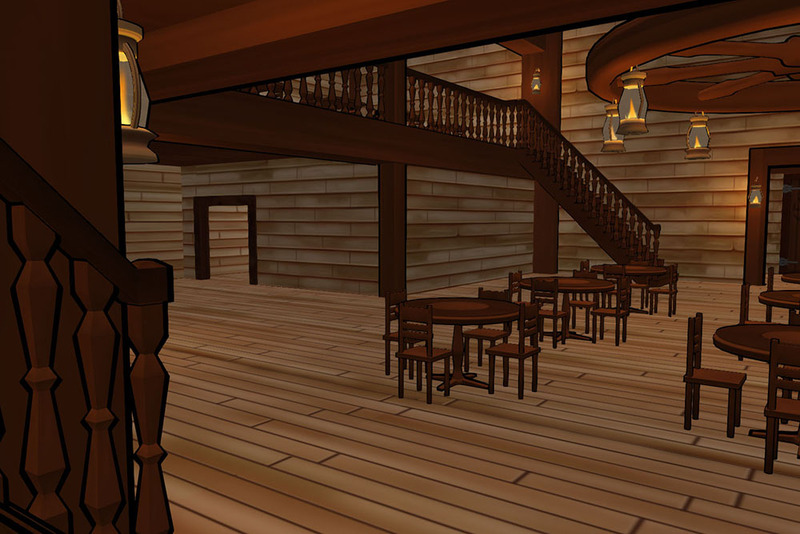 Upon first glance, the old wooden building looks rather out of place. 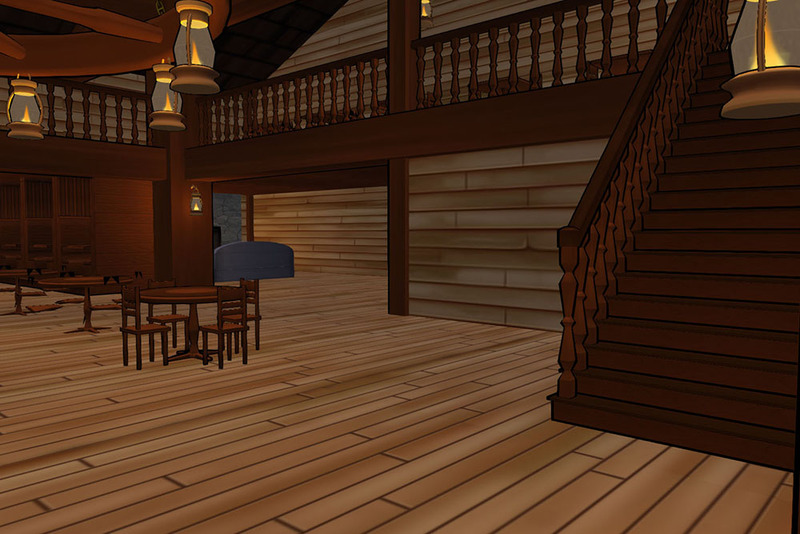 It's the only building in the middle of a large wooded area, save the clearing just in front of it. 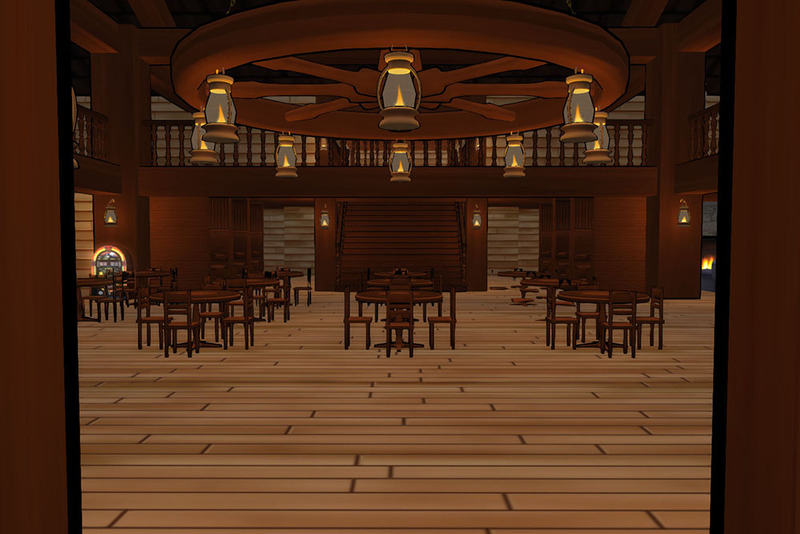 As one draws closer, they'll notice the lanterns on the sides of the doors, the light of the flame flickering happily against the massive wooden doors. 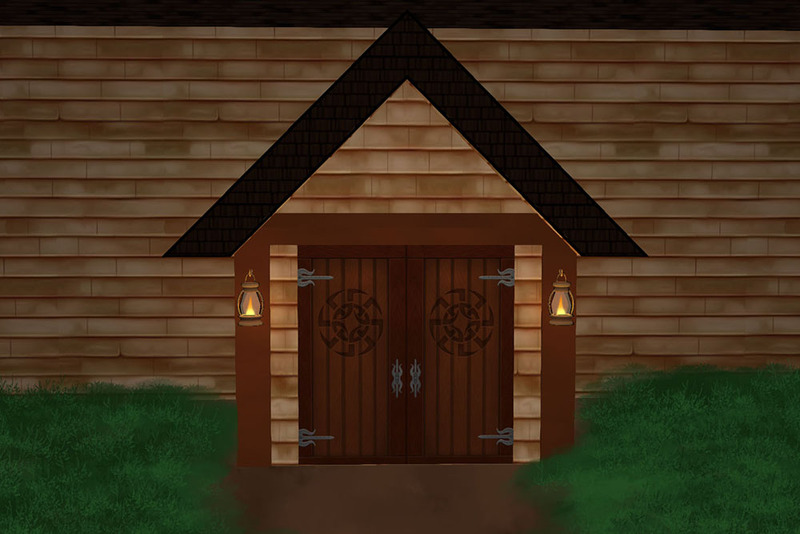 These doors, etched with the visage of dragons, stand a good fifteen feet tall. Once one pushes their way inside, everything seems to be a more normal size, that is, if you're an average human. 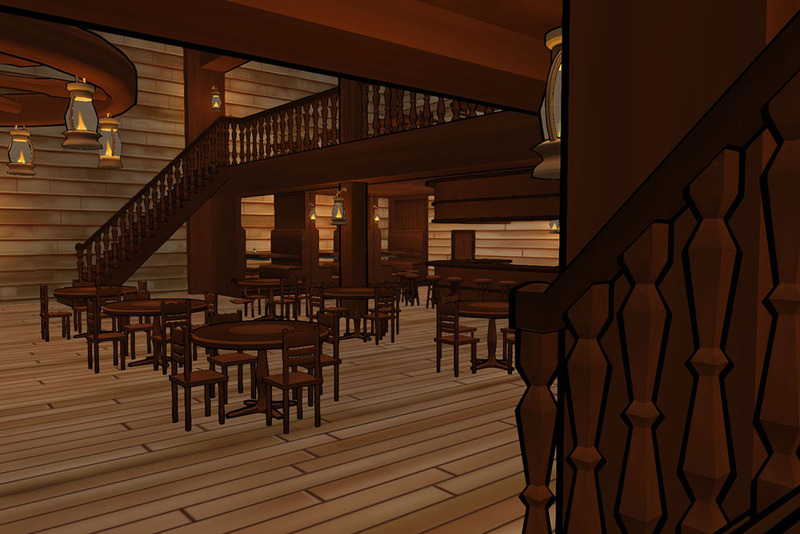 Everything inside appears to be old and rustic in nature. 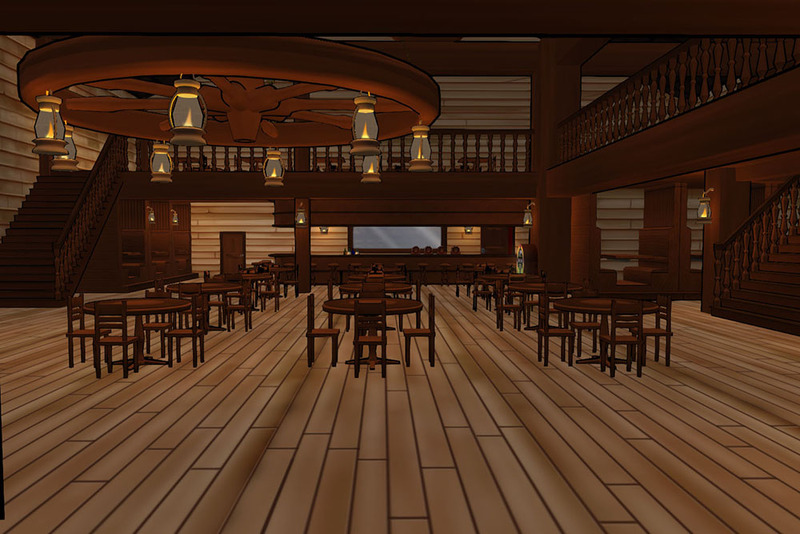 It seems like one of those themed restaurants, from the large, wooden wagon wheel chandelier hanging in the tavern proper, to the fire-lit metal lanterns lighting the interior. 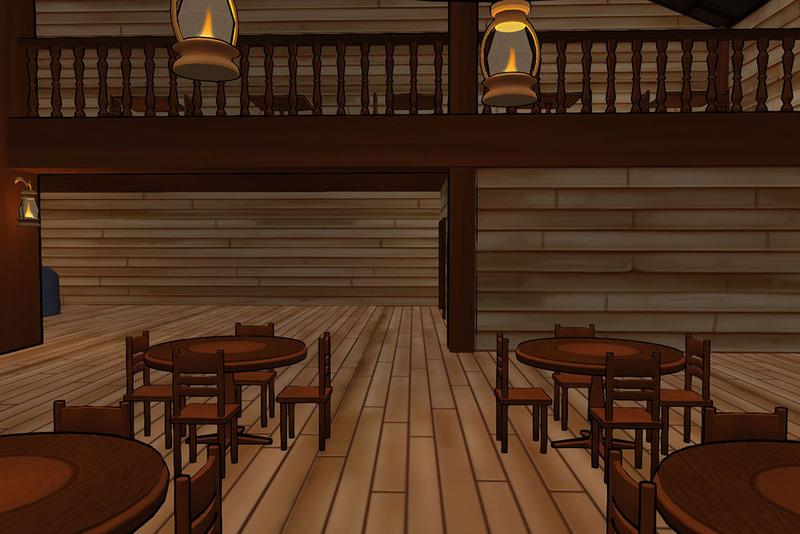 The other side of the tavern sports a large fireplace, a couch to sit back and enjoy the warm fires. 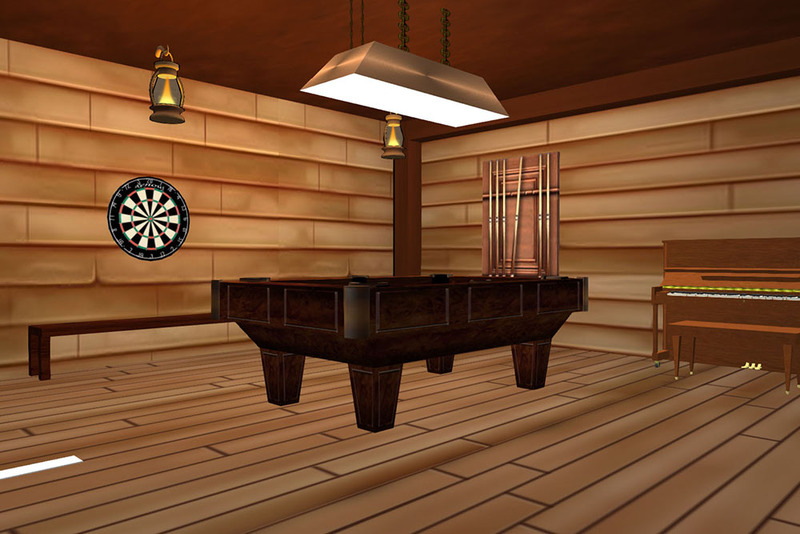 While things appear to be rustic, one might notice the bar is fully equipped with modern necessities - running water, beer taps, and the like. Next to it is a modern day Jukebox, using digital music technology. 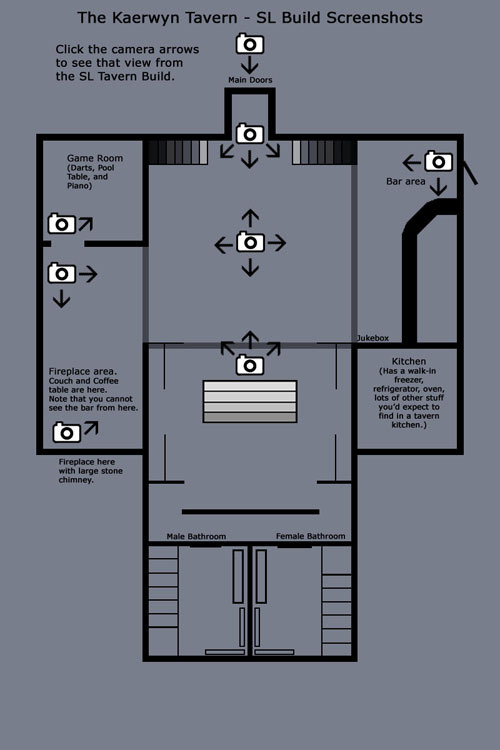 The bathrooms use large fluorescent lighting, even. 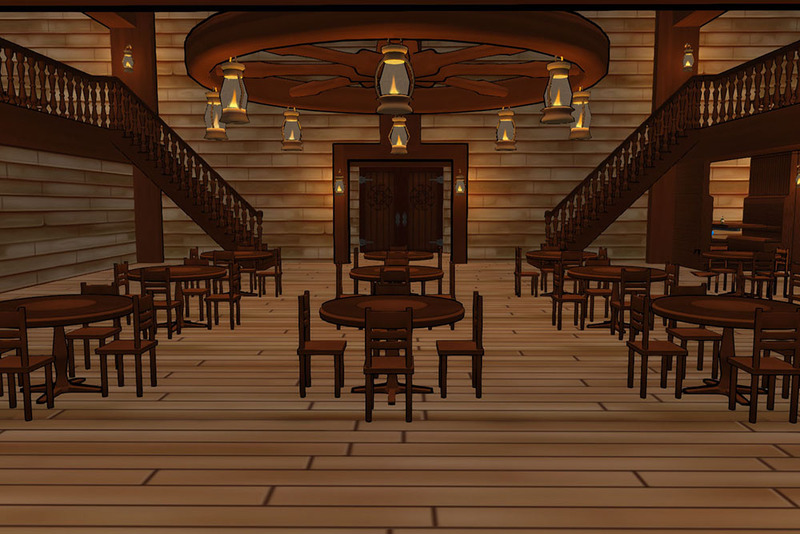 In addition to the maps, we've built the Kaerwyn Tavern in SecondLife. 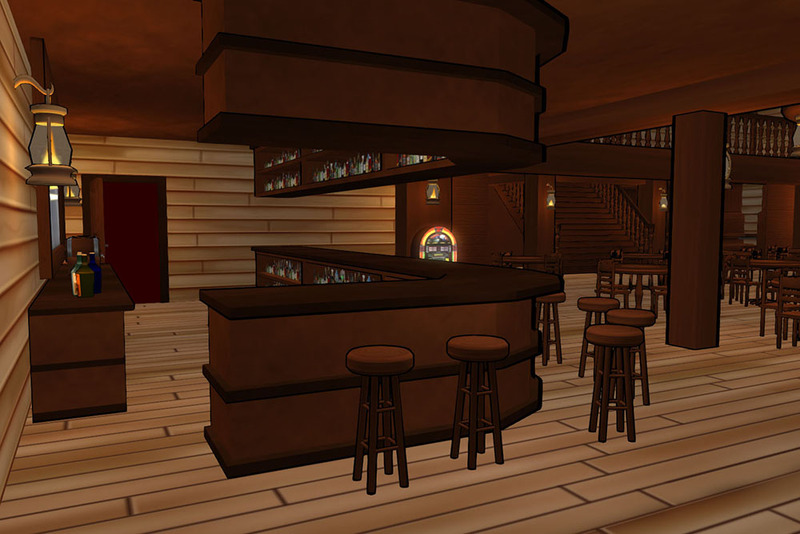 If you are a SecondLife 'resident', you can use this SLurl get to the Kaerwyn Tavern. 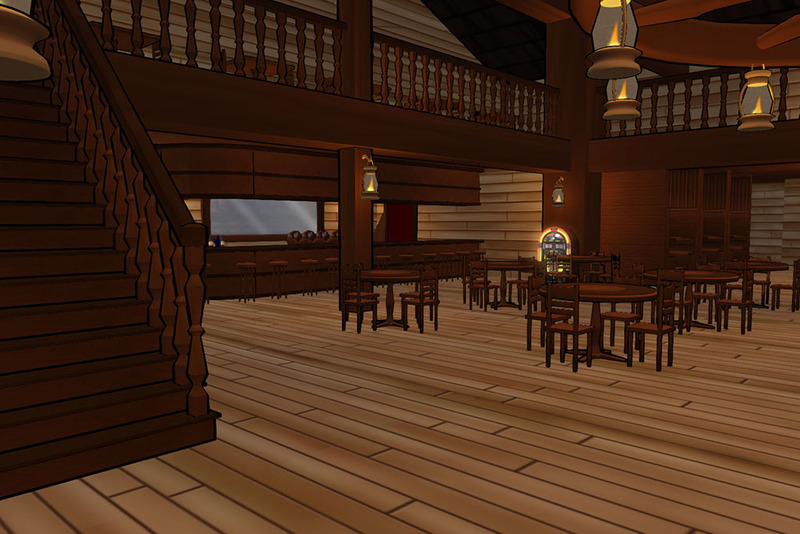 We recommend all players sign up for SL just to see the tavern in 3d. 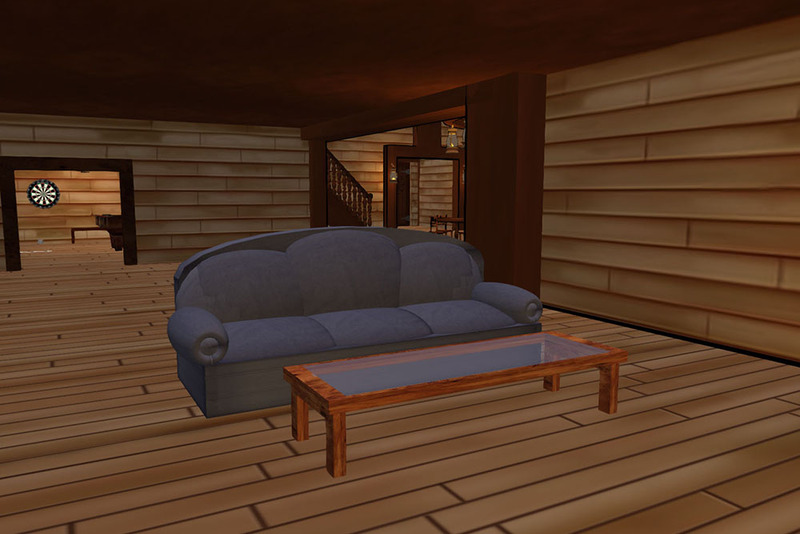 SL is free, and doesn't require too much to run. 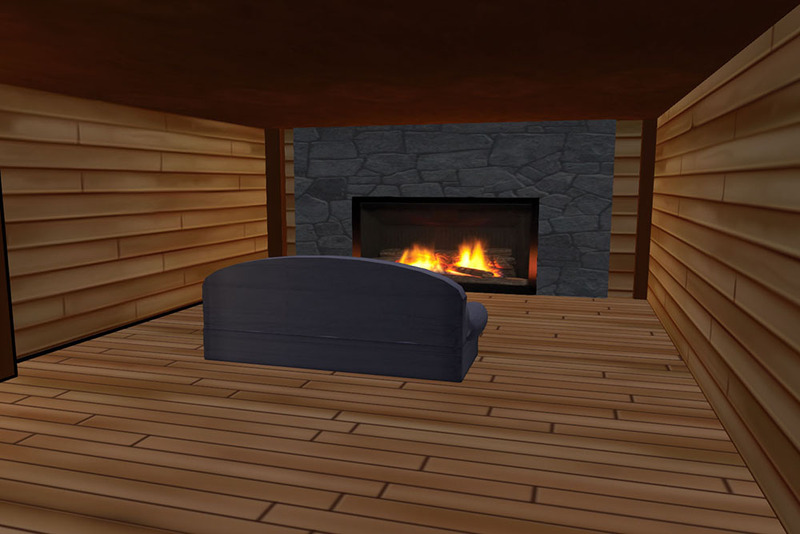 Please note that we do not RP on SecondLife. 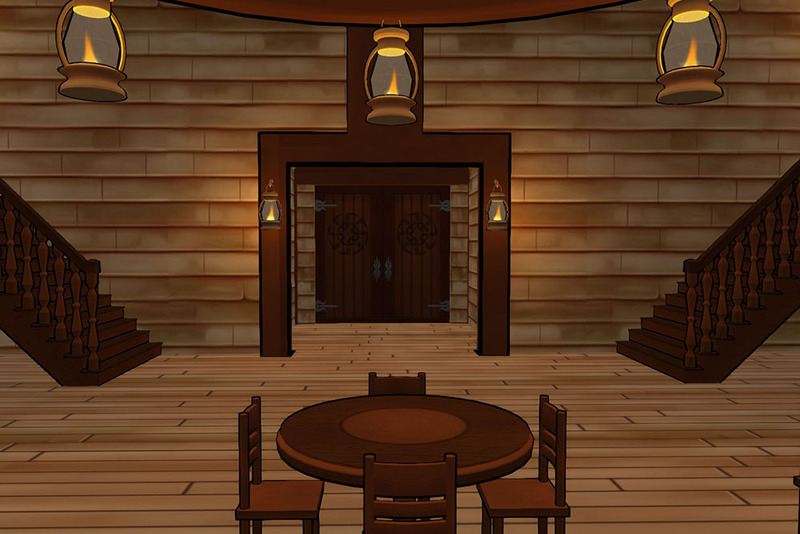 The Tavern build was created for the comic's backgrounds. But you can feel free to explore it.